This material is available to authorized students of Sakyong Mipham Rinpoche who have received the appropriate empowerment and reading transmission. The Sakyong's Kurukulla abhisheka talks from 2013 and 2014 are multilayered and wide-ranging, presenting magnetizing activity and the four karmas from a variety of vantage points. Each talk dives progressively deeper into the practice. The new material includes both the main presentations at each program and remarks made by Sakyong Mipham Rinpoche during the empowerments. The collection includes errata to the sadhana and manual. 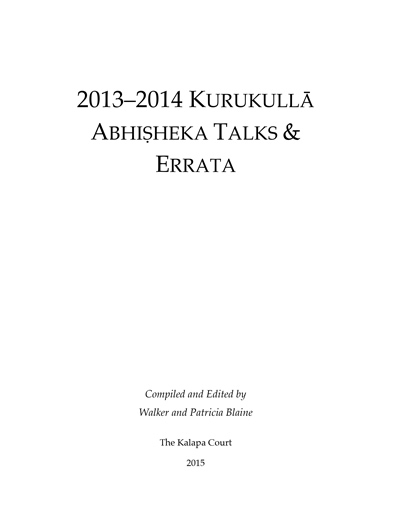 It is formatted to fit into the Kurukulla Practice Manual. 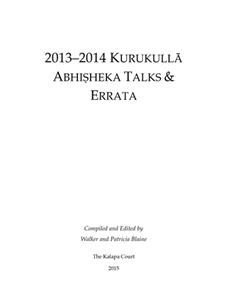 This material is included in all Kurukulla Practice Manuals purchased after 2015.